At STRUMIS we are committed to improving processes which in turn saves our customers both time and money. 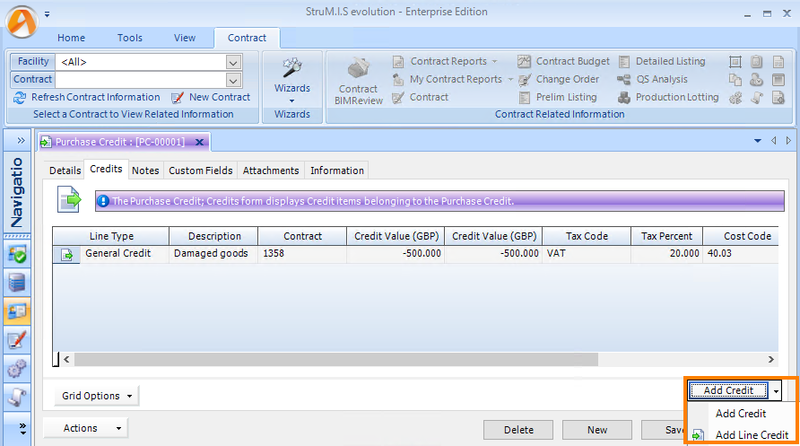 One of the many great new features to be introduced in v10.3 is Purchase Invoice Credits. Purchase Invoice Credits can be applied to a Contract in general, or to specific Purchase Invoice Lines; which can then be further applied to update Inventory values. 1. A general Credit which will impact the overall value of the goods but will not affect the Inventory value of any Purchase Invoice lines. 2. A "Line Credit” which will be applied to a specific selection of Purchase Invoice lines and the Inventory values of which will be updated accordingly (so long as the new Purchasing & Suppliers option ‘Apply Purchase Invoice/Credit rates to Inventory’ is enabled). This new feature will help to manage and have more control over Credits and is just one of the many exciting enhancements that will be available in STRUMIS v10.3.